Disasters Happen! The good news is it’s easy to make sure you and the people and things you care about, are ready. There are many different ways you can stay informed about what is happening before, during and after an event. Sign up for text alerts and find out more about our suite of alerting tools. 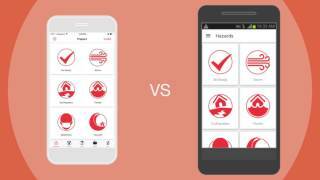 We recommend downloading the Red Cross Hazard app to ensure you can receive alerts. The app is available on both Apple and Android and can be configured to give you updates for multiple locations. What this video to see how to configure you settings.